For every mason jar photo on Pinterest, there’s someone out there who hates it. 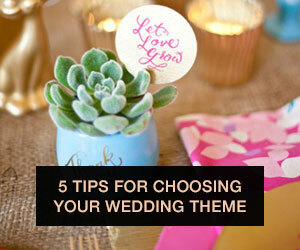 In the past year or so, I’ve noticed that weddings are surprisingly polarizing. While I can understand some of the backlash, dealing with the fact that all your Facebook friends are getting married by hating on weddings in general doesn’t seem like the best way to deal. But unfortunately, a lot of people choose to take this route. Listening to people trash weddings and marriage while planning your wedding can be rather discouraging; if you find that this is bumming you out, here are some tips for dealing with it. Rather than sharing every detail of your wedding with other people, let them ask about it. I tend to take the mindset “no one cares about my wedding but me” when it comes to sharing details with others. I wait for people to ask about the details before I just volunteer them. 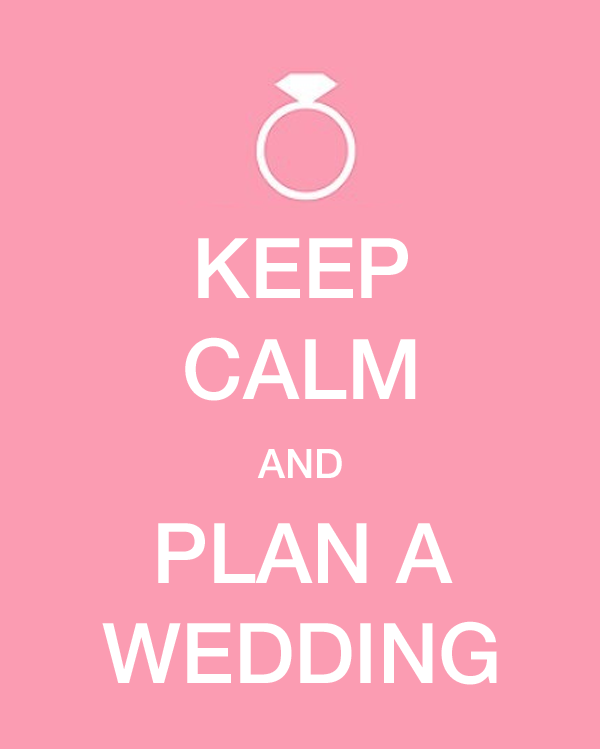 That doesn’t mean I pretend I’m not engaged or planning a wedding. It just means I only share brief details (“Oh, not much new here, we did book a venue this weekend though!”) and then I wait to see if the person wants to know any more about it. Talking at length about weddings to people who just aren’t interested is a big cause of wedding snark, so I try my best to be part of the solution. If people hate on weddings in front of you, confront the snark calmly and directly. A lot of people get away with this type of rude and passive-aggressive behavior because others feel too awkward or embarrassed to call it out. Saying something like, “Hello? I CAN HEAR YOU,” is often a good start in situations like this. That might not shut them up, but it at least lets the know they are being rude, and no one wants to be called rude. If they don’t care that they are hurting your feelings, there’s no need to get defensive or go to battle with them, but you should at least let them know it bothers you. When dealing with judgmental people, consider sharing why you are excited (or stressed!) about your wedding. Before I was engaged, I didn’t really understand what was that fun or that stressful about planning a wedding; after all, isn’t it just a big party? How hard can it be? But now I’m realizing there’s more to it than that. I’m excited because it’s an excuse to have all my friends and family in one place (something that never happens!) and because it’s a big rite of passage that has taken a fair amount of effort on my part and my fiance’s part. And blending of two families and redefining your identity in a very public ritual -- one where money is involved! -- is bound to have some stressful moments. So yes, you’re excited about the party, but I’m guessing you’re not only excited about the party. And the stress isn’t really about which caterer to choose; it’s about your relationship with your mom and the fact that she wants you to choose a certain caterer. Sharing the why of wedding excitement and stress with people who have never been through it before can sometimes give them a new perspective. Let your geek flag fly. One thing that has helped me when I feel a bit dorky/embarrassed for being excited about certain aspects of wedding planning is to try to treat it like any other thing I’d geek out over. When I’m geeking out about non-wedding-related things, I totally own it. I’m like “Yeah, I love this in a huge, irrational way, and I always have...what can ya do?” So when it comes to wedding favors or invitations, I try to tie it back to something universal or non-wedding related. As in, “Well, I’m SUPER pumped about the invites because stationery and paper is kinda my thang, so I’m just so excited to have an excuse to pick out something besides Christmas cards!” That makes me feel more confident and happy about what I am doing and it helps show the smug people that people can love weddings for very specific, personal, reasons, and not necessarily materialistic, shallow ones. Get over it. So yeah, some people hate weddings...so what? There is no shortage of people who love weddings too. I can’t think very of many ways you can spend your time that someone wouldn’t think is pointless, so at some point, you just have to let it go and do your thing. That isn’t an excuse to be a monster to everyone around you or completely forget the other things you care about; it just means that right now, you have this other interest, and it’s not one that everyone will be -- or needs to be -- excited about.